Complete the Information Request Form to learn more about graduate study at Iowa State. The Drake Law School and the Department of Political Science, Iowa State University are co-sponsors of the Master of Arts/Juris Doctorate degree. 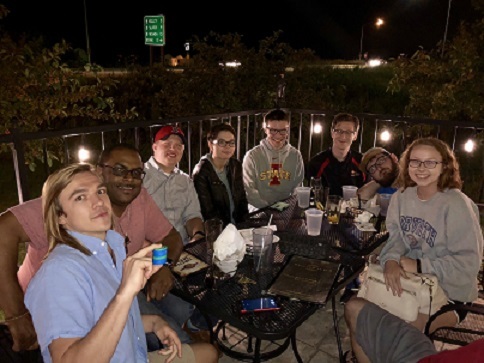 This degree combines courses at both Iowa State University and the Drake Law School and follows much the same requirements as a double degree. However, the student must have full admission to both schools. The Master of Science in Information Assurance (MSIA) is a multi-disciplinary degree designed to provide students with diverse backgrounds and interests the opportunity to obtain professional training in the emerging field of information assurance. It is offered through the Information Assurance program (INFAS). The core of the program is built around a series of courses taught in Electrical and Computer Engineering, Mathematics, and Computer Science that introduce students to software and hardware aspects of cryptography and computer security. The program also recognizes, however, that information assurance—defined in terms of security, privacy, access, and reliability—is not simply a technical problem but also involves important societal dimensions, including policy, education, ethics, and management. Recognizing that political science offers many potential intersections with information assurance (e.g., public sector management of information technology, forensics and computer crime, information technology policy and law, information technology and international relations, information warfare, etc. ), students with interests in these areas are encouraged to select the Department of Political Science as their home department. The Political Science Department offers a Grduate Certificate of Public Management and Policy(GCPMP). The GCPMP is a 15-credit program that requires completion of at least 9 credits from a set of core courses. An additional 6 credits may be earned in other approved courses. GCPMP students are not required to designate a major professor and a POS committee, because the Director of Graduate Education will approve course selection for each student. Students in other graduate programs may obtain a minor in political science by completing at least 9 credits of political science courses, including one of the proseminars. Interested students should consult the Graduate College Handbook for additional information on graduate minors. Political Science graduate students are victorious again! 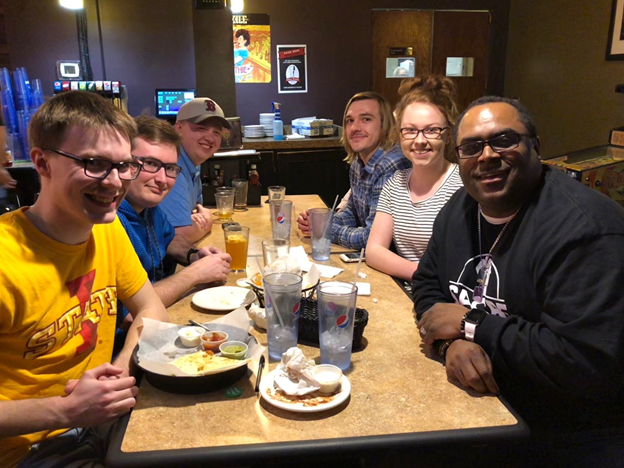 Political Science graduate students have won and have vigorously defended their championship in a trivia contest at West Towne Pub. We wish them all the best in future efforts to vanquish opposing teams.